Niantic Labs is hosting a special Pokemon GO battle event which starts today. Pokemon GO players can participate in a special Battle Showdown from today through May 14 at nearby Gyms. The features Fighting-type Pokemon such as Machop and Makuhita, which will appear more frequently in the wild. Starting today, May 1 at 1pm PDT/4pm EDT/9pm UK, Pokemon GO players need to be on the lookout for these critters. As always, now’s the time to go shiny hunting. Shiny versions of Makuhita and Hariyama, and Meditite and Medicham are out. An increased appearance rate means you’ve got a better chance of finding one. 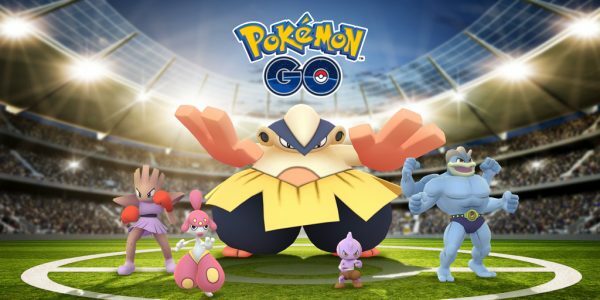 Players will earn 2X bonus XP for Gym Battles and Raid Battles until May 14. Raid Battles will also award a guaranteed 3,000 Stardust for participating and at least one Rare Candy if the player wins. Several actions at Gyms will yield bonuses, including a 2X Badge multiplier. Players can also spin the Photo Disc at Gyms to win even more items. To reiterate: the special Pokemon GO battle event, Battle Showdown, kicks of today and runs through May 14.